Regulation Roundup | Inertia Wins! A new technology called a “wearable robot” – basically a pair of robotic legs – enables paralyzed people to walk. As Vice President Joe Biden might say, this is a big deal. It will be ready for the market in about a year. But the real obstacle may be regulators, who have yet to approve the device. 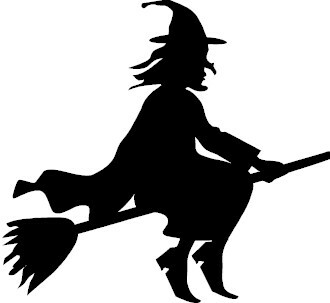 In Swaziland, witches may no longer fly broomsticks more than 150 meters above the ground. The regulation is enforced by the country’s civil avaiation authority. The penalty for violators is R500,000 (South African Rands), which is equivalent to a little more than $54,000. Swaziland’s per capita GDP is $3,831. Strangely, there is no penalty for witches whose broomstick-flying adventures remain under 150 meters. Legislators in California and elsewhere are mulling a ban on 3-D printed guns. San Francisco appears poised to drop its long-running push to require radiation warning labels on cell phones. More on why cell phone radiation scares are hokum here and here. A 10-year old UK schoolgirl was reprimanded by police for drawing a hopscotch grid on a sidewalk. The officers claimed she was causing “criminal damage,” but let her off with a warning. Alabama has legalized homebrewing. It is now legal in all 50 states. Cato’s Ilya Shapiro with some good analysis of a bill that would rein in abuses of the Clean Water Act.